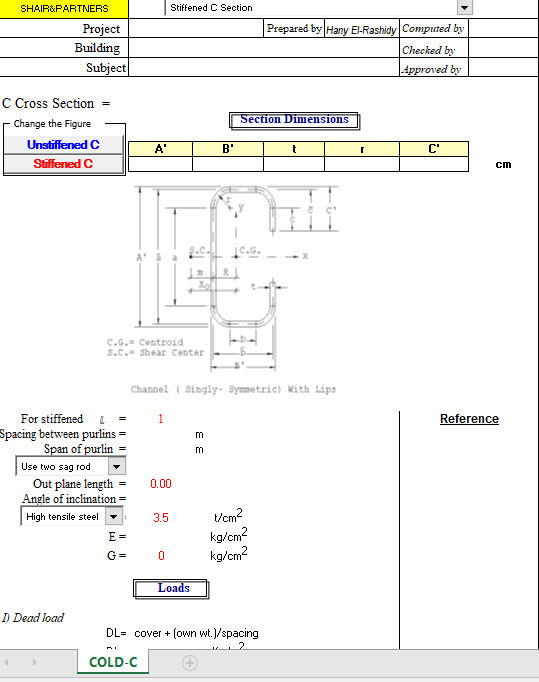 Design of purlin sizes are based on an analysis of bending members as a simple beam. The length of the purlin from truss to truss is taken as the span length needed for the single span, simply supported beam formula. 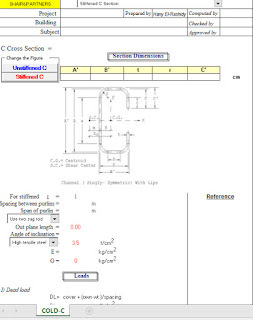 This excel sheet provides the design of c purlin.